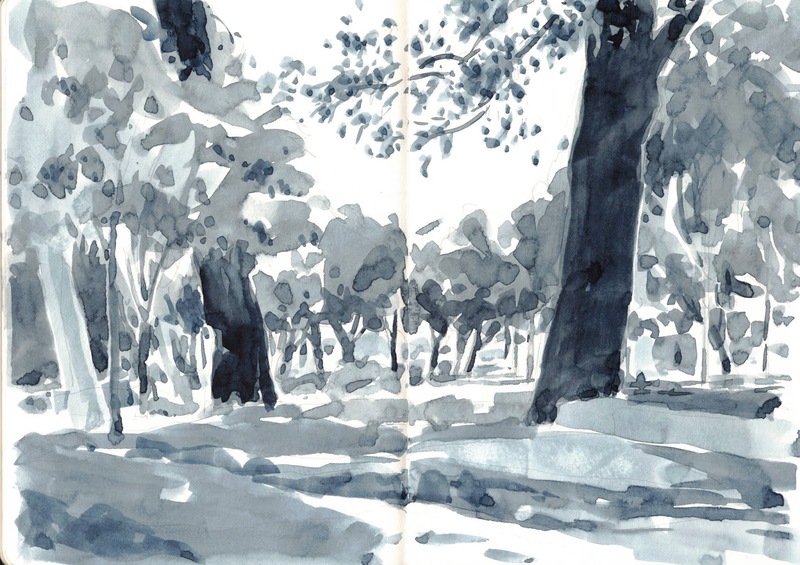 I thought it was too late to be posting sketches from the Symposium in Porto. But, encouraged by Jane's recent post with her post-symposium sketches, I decided better late than never. 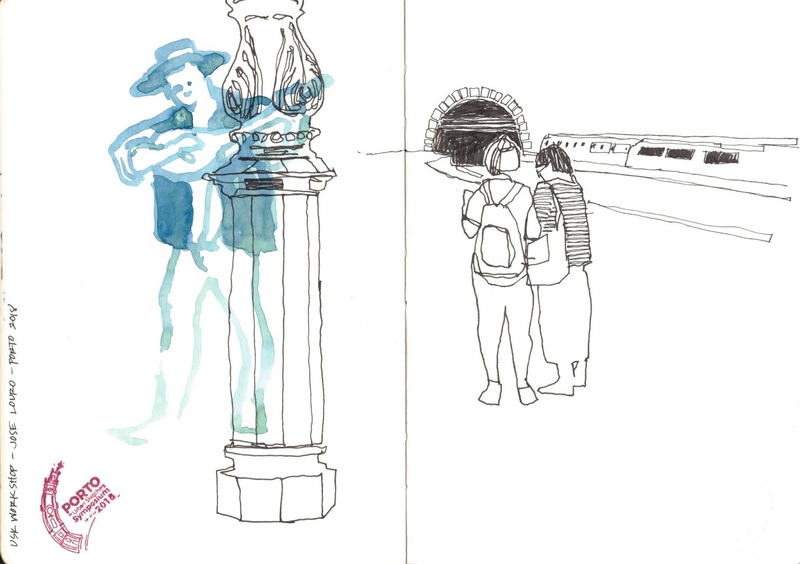 So here are some of the drawings I did during the Symposium sketchcrawls and the classes I took. It was the first time I have attended a Symposium, but I hope it's not the last. 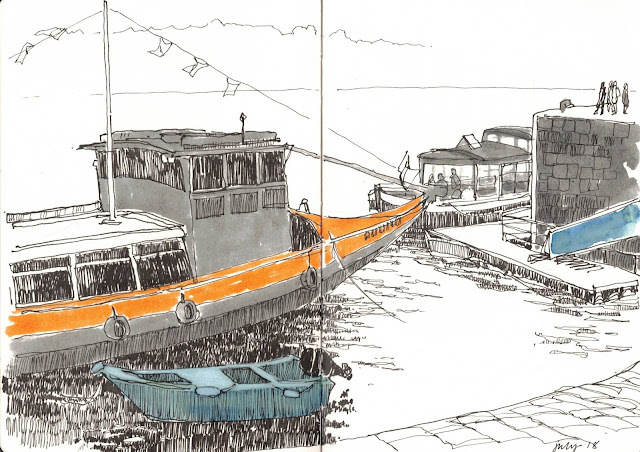 It was amazing to be so immersed in sketching and surrounded so continuously by sketchers! I am posting just a few sketches here, but more are on Instagram. I am Sue.Heston on Instagram. This is one of the drawings I did in Jose Louro's workshop. I also took a workshop with Joao Catarino, and both of these guys stretched the way I think of urban sketching. What? A watercolor? Charline Moreau demoed a monochrome watercolor underpainting technique that was all about values and it really resonated with me! 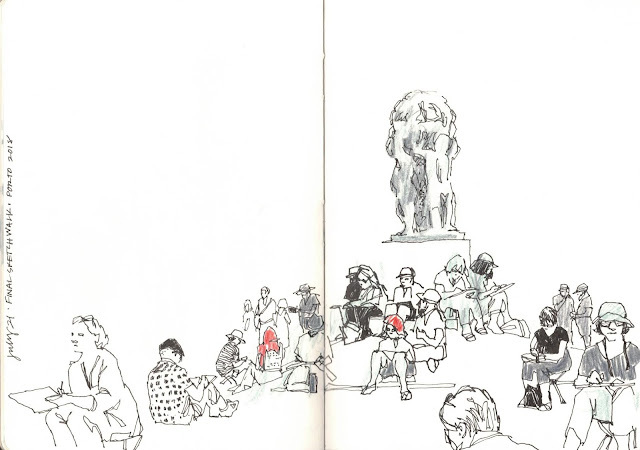 This was the scene at the Final Sketchcrawl - sketchers as far as the eye could see (over 500!). 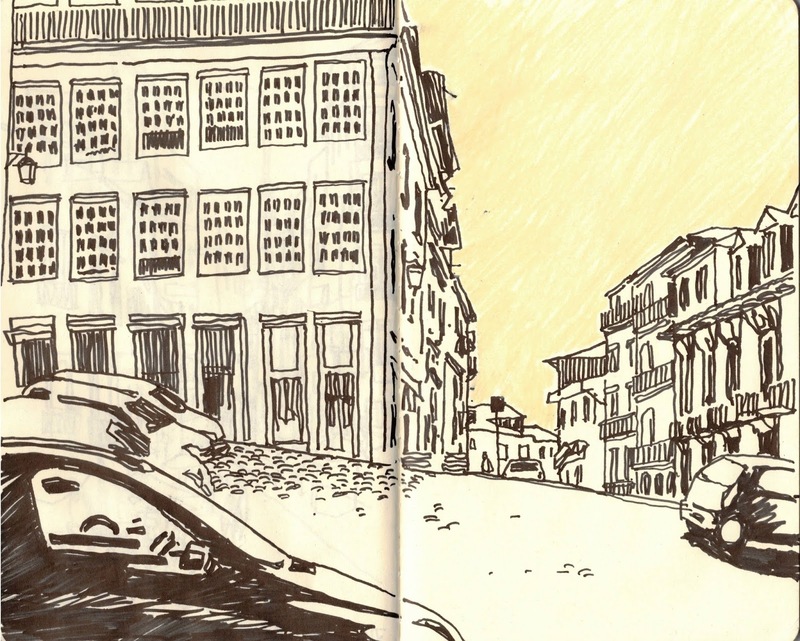 And one of my personal favs from a sketchcrawl in the "upper city" to wrap up a picture-heavy post. I never saw the top sketch with the boats! Ahh, good times, good memories. Glad you shared all these! I love your work. I like them all but I love that you're using watercolor occasionally! I was looking at notan videos last night and am inspired to do some studies.